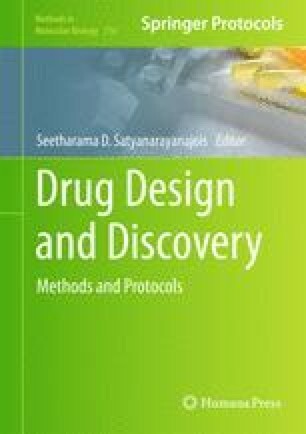 The identification of small drug-like compounds that selectively inhibit the function of biological targets has historically been a major focus in the pharmaceutical industry, and in recent years, has generated much interest in academia as well. Drug-like compounds are valuable as chemical genetics tools to probe biological pathways in a reversible, dose- and time-dependent manner for drug target identification. In addition, small molecule compounds can be used to characterize the shape and charge preferences of macromolecular binding sites, for both structure-based and ligand-based drug design. High-throughput screening is the most common experimental method used to identify lead compounds. Because of the cost, time, and resources required for performing high-throughput screening for compound libraries, the use of alternative strategies is necessary for facilitating lead discovery. Virtual screening has been successful in prioritizing large chemical libraries to identify experimentally active compounds, serving as a practical and effective alternative to high-throughput screening. Methodologies used in virtual screening such as molecular docking and scoring have advanced to the point where they can rapidly and accurately identify lead compounds in addition to predicting native binding conformations. This chapter provides instructions on how to perform a virtual screen using freely available tools for structure-based lead discovery. This work was supported in part by NIH grant GM 68460 (G.R.M. ), the Washington University Cancer Biology Pathway (Y.T.T. ), and the NIH Vision Sciences Training Grant (Y.T.T. ).